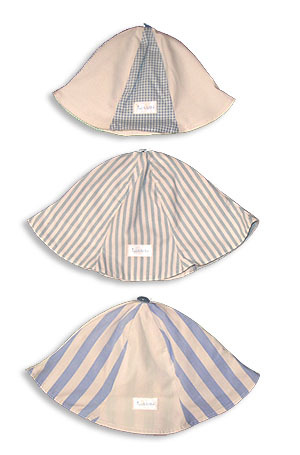 Reversible Floppy Hats, shown here in blues. Vintage 100% cotton with antique buttons. Available in Small, Medium and Large. Machine washable, of course. Contact us to order and for fabric availability. Please reference the item number.